The impression seems confirmed on the drive in from the airport. Decommissioned test ramps and the brick chimneys of Michelin’s historic tyre factories are interlaced with smaller pharmaceutical, chemical, and metal-working sites. That industrial character fades quickly, though, in the city itself. With almost 500,000 people in the agglomeration, Clermont-Ferrand is France’s 19th largest city and the principal city of the Auvergne. Its medieval streets harbour traces of all the times it played a role in the world’s history, and its stunning natural setting – against a backdrop of more than 140 ancient volcanoes – draws visitors outdoors into some of France’s wildest, least-visited areas. In 52 BC the chieftain Vercingetorix and his Arverni tribesmen famously battled the armies of Julius Caesar to a standstill along the mesa of Gergovie at the southern edge of Clermont. Although still celebrated as a “great moment” in French history, the victory was fleeting. 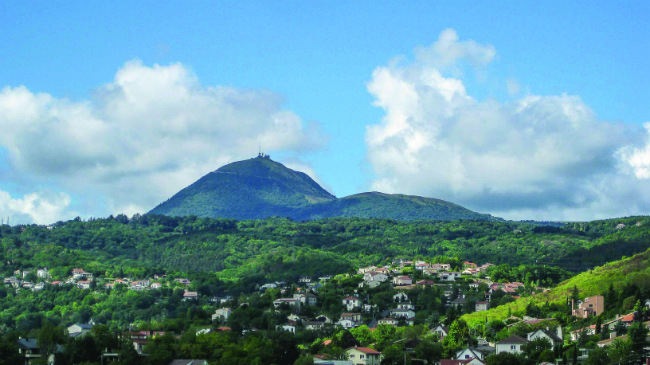 In a second battle, the Romans captured Vercingetorix and continued their march through Gaul; their traces are visible in the ruins of their old stone baths in suburban Royat and a temple to Mercury perched on the peak of the massive volcano known as the Puy de Dôme that dominates the city’s skyline. For much of its history, Clermont itself was governed by Catholic bishops rather than the kings of France. Notre-Dame-de-l’Assomption, the city’s emblematic Gothic cathedral, rose in 1248 atop a sharp volcanic butte in the city’s centre and represents the Church’s long dominance in the region. Like dozens of other public buildings and townhouses here – but like no other cathedral in France – it is distinctively black, its colour derived from blocks of lava quarried from the surrounding volcanoes. Still, it’s the “old” church, Notre-Dame du Port, that figures in today’s headlines. After his council here in 1095, Pope Urban II marched down to an open field (possibly today’s Place Delille) where the most important knights of France had gathered. Worried about the instability created by constant combat among these lords, Urban called the nobles in the great crowd to launch the First Crusade to Jerusalem, shouting “Deus lo volt!” (“God wills it!”) and setting off the historical chain of events that roil the world still. The basilica today is a UNESCO World Heritage Site, with thick walls and perfectly proportioned arches making it one of the Auvergne’s most beautiful examples of Romanesque architecture. To keep the Church’s power in check, in the 12th century the Counts of Auvergne established their own town, Montferrand, just outside the walls of Clermont. 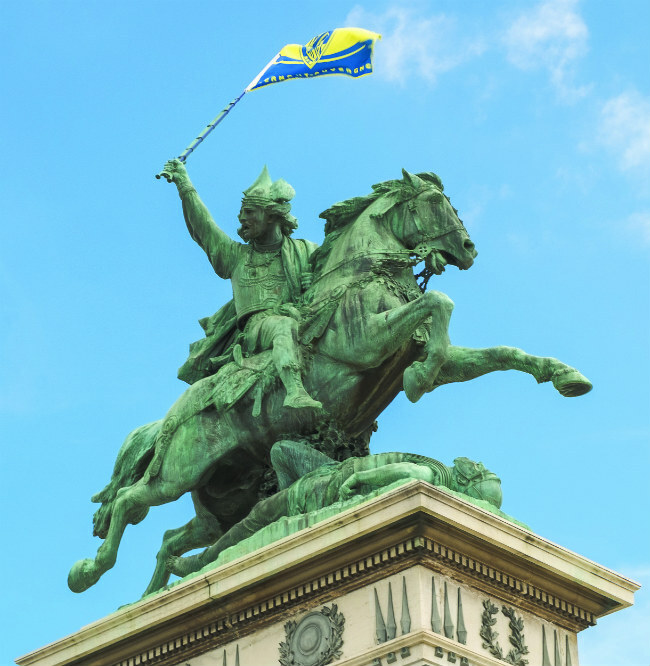 For 500 years, it was a centre of royal authority for the region until King Louis XIII ordered its merger with Clermont, creating the modern hyphenated ville in 1630. 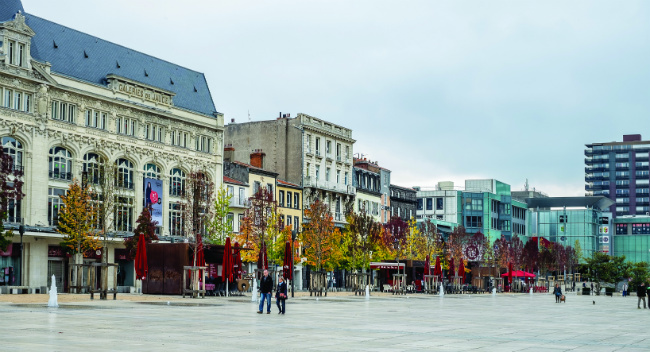 Even now, though, Montferrand retains its own character as a neighbourhood within the larger city, with half-timbered medieval houses and the Roger-Quilliot Museum of Art giving good reason to visit. Clermont-Ferrand is more often associated these days with Michelin, its factories, and its global headquarters. 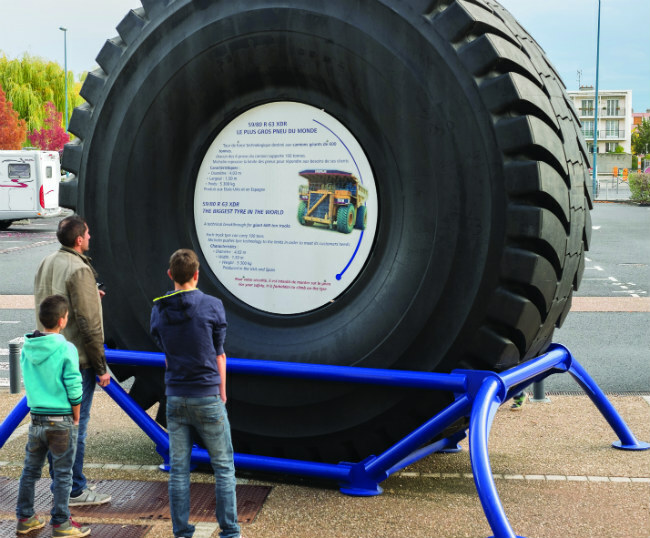 The world’s second largest tyre manufacturer was born here in 1889, when André and Édouard Michelin began to commercialise their invention of the dismountable tyre for bicycles. 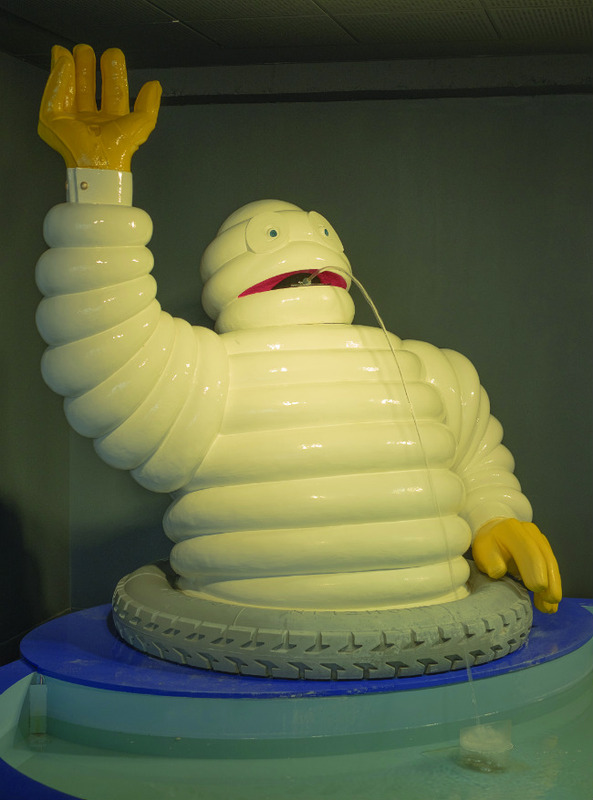 Although driven by their training as engineers to focus mostly on inventive technology, as the company grew the brothers also demonstrated a genius for marketing, introducing Bibendum (the famously pudgy “Michelin Man”), ceramic road signs and a numbering system for all the main roads in France, and of course the ubiquitous red and green Michelin Guides for tourists. As recently as the 1970s many natives of Clermont could say, “I was born in a Michelin hospital, I lived in a Michelin house, we shopped in the Michelin store and ate in the Michelin restaurant.” Those somewhat paternalistic amenities are gone now, disappearing as the company streamlined its operations over the years; still, Michelin remains a presence here, directing operations in 170 countries from its contemporary campus in the Place des Carmes. The company’s rich history is on display in the well-curated Aventure Michelin, a multimedia museum on its Cataroux factory site. This is the heart, too, of the great volcanic chains of the Massif Central, the mountains that form the backdrop to the city as well as the sharp peaks of the Cantal and the ski stations of the Mont-Dore. Although none has erupted for at least 8,000 years, volcanic activity is still evident in the thermal springs and bathhouses in the region. 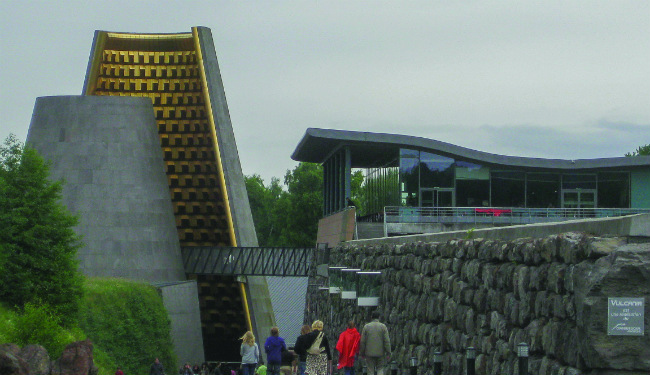 Vulcania, just outside of Clermont, has become a popular tourist attraction offering films and hands-on exhibits explaining how volcanoes have affected the Auvergne. Deep crater lakes, a string of medieval castles, and spectacular hiking trails make Clermont-Ferrand a natural escape from urban life. It is also a centre for education with 37,000 university students (including 5,000 from overseas), many engaged in cutting-edge medical and scientific research in the city’s laboratories. 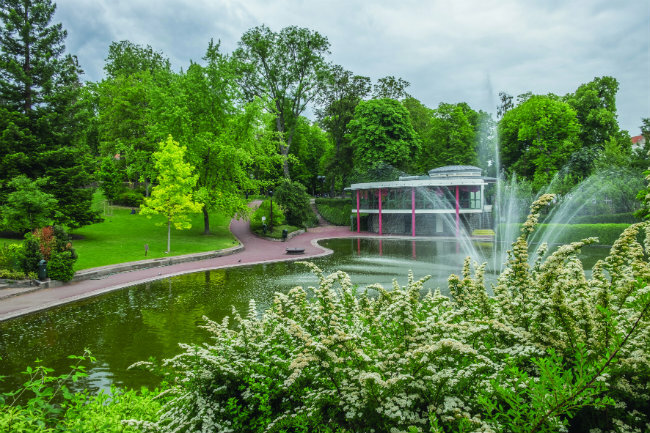 Since 1979, Clermont has hosted an international festival devoted to the art of the short film that draws more than 100,000 visitors every winter. It is also home to ASM Clermont Auvergne, perennially one of France’s best professional rugby clubs. Industrial? Yes, in places. Still a little rural? Yes, although other economic drivers dominate the scene now. 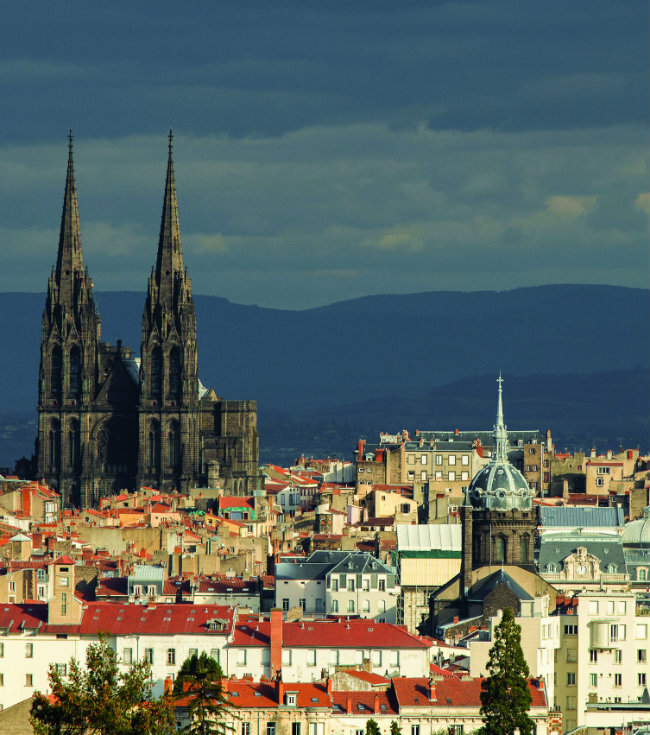 The old stereotypes may linger, but Clermont-Ferrand wears them well, confident that it has a future to equal its illustrious past. Flights leave daily from Paris CDG and Orly airports, and there are several trains every day from Paris Gare de Bercy. 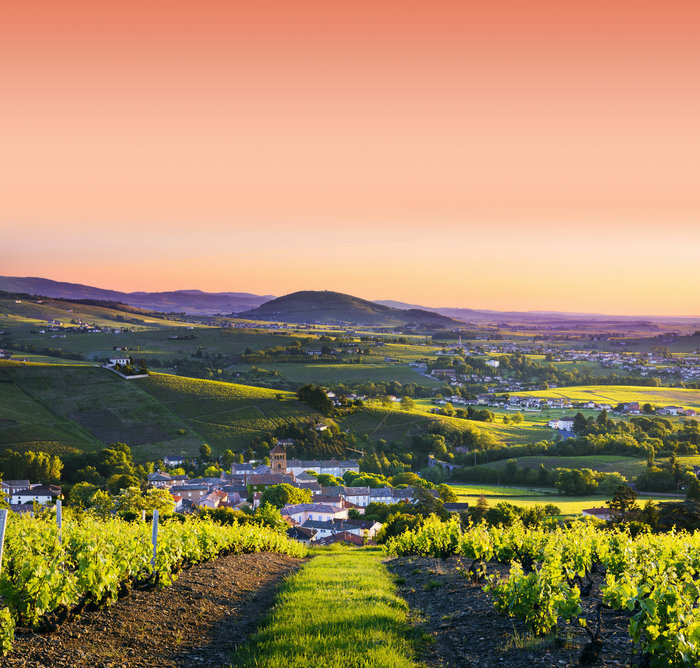 By car, Clermont-Ferrand is about four hours south of Paris via Autoroutes A10/A71. 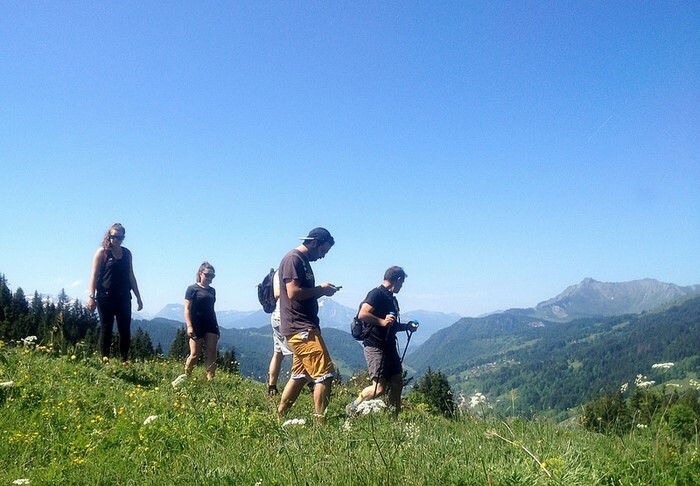 Hotel Radio: Doubles 105-160 euros/night. 43 avenue Pierre & Marie Curie, 63400 Chamalieres. Tel: +33 (0)4-73-30-87-83. L’Avenue: Main dishes 19-23 euros; lunch menus from 13 euros. 10 rue Massillon, 6300 Clermont-Ferrand. Tel: +33 (0)4-73-90-44-64. Le Kitchen: 29 rue des Chaussetiers, 63000 Clermont-Ferrand. Tel: +33 (0)4-73-36-80-87.